When comparing limousine services in Orlando Florida it may seem overwhelming. Many limousine companies claim to be the best or the only limousine service in Orlando. The truth be told is there are many reputable Limousine services in Orlando. We do not believe in slandering any of our competitors or even make them seem unreliable. We are here to facilitate your decision making process. We not only believe that all clients deserve to get superior quality of service and vehicle at a reasonable price, but that they should be the boss and feel totally in control of their decision making process. 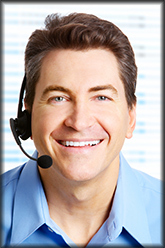 We have a team of dedicated customer service specialists available 24/7 to answer any questions you may have. There is many different options of vehicles available to cater your needs and desires. We not only have a diverse variety of superior limousines available for you to choose from, but we have only the finest in chauffeurs trained to treat you like royalty. Be sure to know that when service is what you are looking for that is our promise to you. Make the one hour drive to Disney the best! When going on your cruise out of Disney you deserve to be pampered and make the most out of your vacation. Allow us to give you one of our luxury stretch limousines with a professional chauffeur at your convenience both ways for a low flat rate. Not only will you travel and arrive in style, you will not sacrifice any comfort or budget. We offer a total price with no hidden charges. Many passengers traveling from Sanford Airport to Disney and using a shared ride shuttle are treated like they are nothing but a number. They are given a run around and made to go and find their shuttle pick up location and wait for the shuttle to arrive. There is no concern for their time and their comfort. They are thrown in to overcrowded buses that have been retired from major corporations for being too old and that should no longer be on the road. We will make your magical cruise vacation more incredible than any other provider. We will monitor your flight and have your professional chauffeur awaiting you by your baggage claim with your name on a sign. Our clean late model luxury stretch limousine will be parked conveniently just below your baggage claim on level one in a covered parking area specially designated for ground transportation providers. Once you see your limousine you will then really feel like your vacation has began. You do not want to get stressed out by having to run around and look for your unprofessional shuttle service that may not even be ready for you to leave at the time you are ready to leave. From beginning to end Orlando Chauffeured Services is here to assure you an excellent experience from the first time of communication until your final arrival at your home. Yes, we said your home as even though we may not be taking you all the way there we are with you every step of the way. If for whatever reason your airline has a problem or cancellation you can count on us to assist you on making other arrangements to either take you to a local hotel or take you all the way to your home. (Additional charges will occur in additional services) We stand behind our Disney limo service and tailor our vehicles around your needs. We are not only in business to earn a profit, we are in business to grow a relationship with you and make your transportation services seamless from beginning to end. Still not convinced that we are the option for you, call our competitors and ask them a list of questions of needs that you may have and see if they can meet all your needs and then call one of our customer service professionals and you will automatically see the difference. We set standards in our industry that many competitors just can't match. We are your number one choice for Disney Limo service. We also service all central Florida locations. Call (407) 470-6008 to speak to one of our customer service agents.